The heart of your engine is its fuel injection equipment and the major enemy of this equipment is poor quality fuel. From extensive research and testing, CLARCOR found that variations in fuel quality around the world can adversely affect today’s precision fuel injection systems. Poor quality fuel can cause performance issues, premature wear, gumming of components, and plugged filters. To resolve these issues and to provide protection of the fuel injection system, CLARCOR offers a variety of diesel and gasoline additives for every application and operating condition. 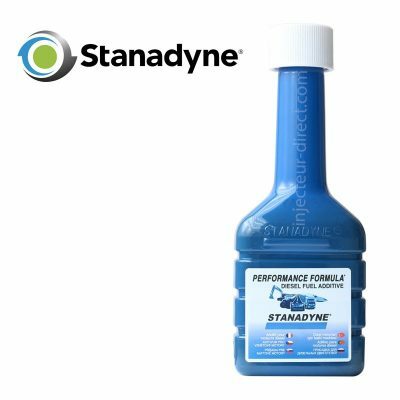 Stanadyne fuel additives comply with federal low sulfur content requirements for use in diesel motor vehicles and non-road engines. All of Standyne Fuel Additives meet all engine fuel system requirements and will not harm exhaust aftertreatment systems such as Diesel Particulate Filters (DPF) or Selective Catalytic Reduction (SCR) systems. 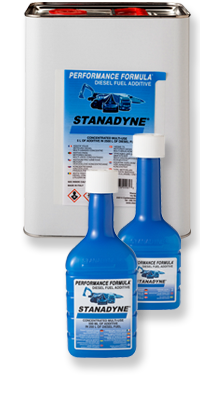 Stanadyne Performance Formula® protects your diesel engine and restores engine performance. The detergency and cetane improver in Performance Formula will help restore fuel economy, increase horsepower and torque. All Stanadyne Diesel Fuel Additives are for low and ultra low sulfur diesel and distillate fuels and are used in various markets worldwide. The chemistry used in our fuel additives have been in continuous use for many years without any reported issues to the vehicles fuel system or any known harm to engine parts and materials. Many years of extensive field performance and no-harm experience with our fuel additives confirm that there are no performance issues related to our fuel additives. Diesel Particulate Filter, and SCR – Selective Catalytic Reduction. Our multifunctional fuel additives are also compatible with other commonly used refinery diesel fuel additives such as demulsifiers, cold flow modifiers, lubricity improvers, deicers, cetane improvers, detergents, dispersants, corrosion inhibitors as well as a wide variety of diesel fuel blend stocks.